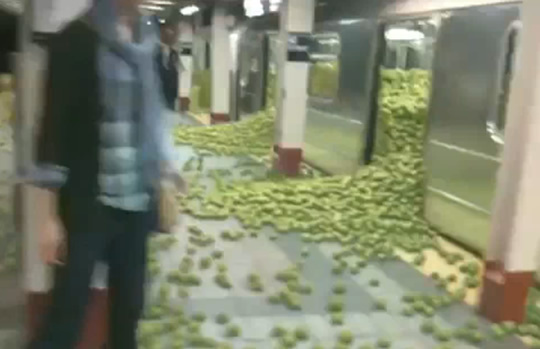 Here's a PSA for City Harvest in which a New York City subway train opens its doors and releases a few hundred thousand apples onto the platform (it's CGI, don't worry). It's supposed to serve as a reminder that food is wasted every day. Made by The Mill NY for Draftfcb New York. Shoot Online had more info on how it was made.